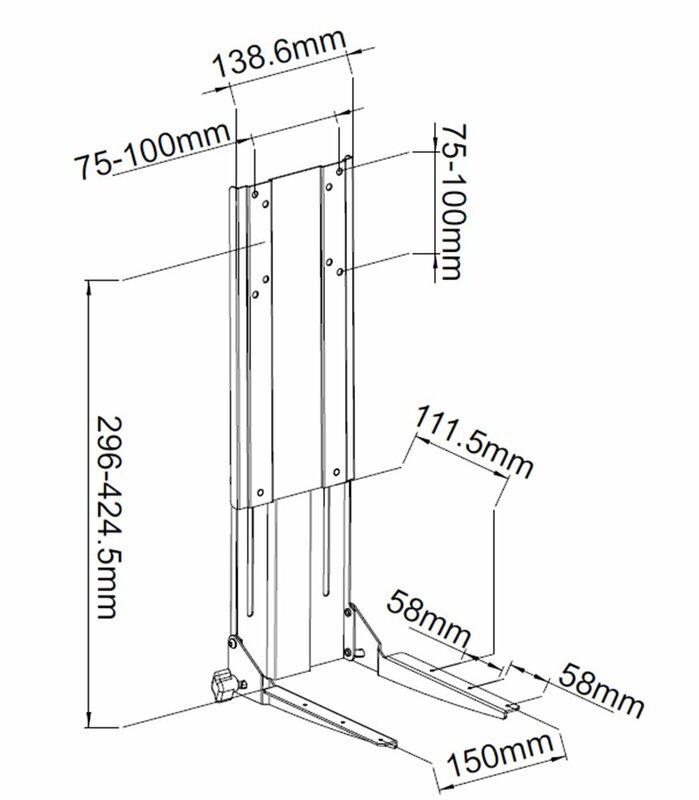 The Allcam VESAHTV extends the usability of a mounting bracket, allowing a horizantally attached device to be mounted below a screen, using the screens bracket. This adaptor is perfect for mounting a keyboard tray below a screen, as it needs no extra mounting holes and allows the height and tilt of the keyboard to be changed. Works well with Allcam MDM-KBT01 and MINIKBT02 keyboard trays. What monitor mounts are compatible? Any mounting plate which has VESA 75/100 mounting holes (75x75mm and 100x100mm), including allcam monitor mounts such as: MDM0, MDM01, MDM02, MDM05, MDM06, MDM07, MDM11S, MDM12D, and MDM12. Could this be used to create a wall mounted work station? Yes, attach this to a wall-mounted screen, add a keyboard tray, and you're on the way to having a wall-mounted work station which can be accessed quickly while standing up. This could be very useful when a computer needs to be swapped between many users quickly, such as in a warehouse.